Nice and hassle free trip, we enjoyed our tour and had time to try street foods and explore the area. 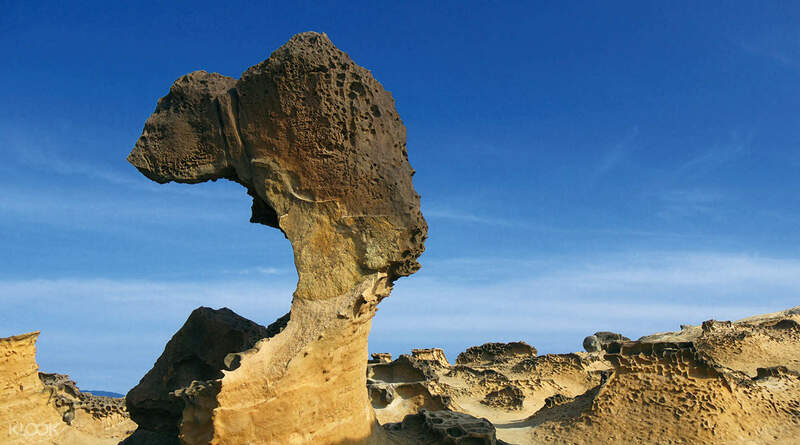 The Yehliu Geopark is one of northern Taiwan’s prime destinations — and for a reason. 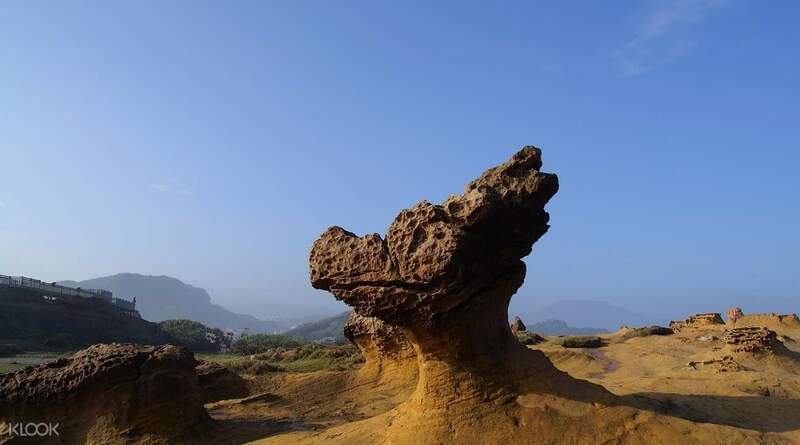 Home to a large number of unique geological formations, the park is located along a picturesque cape stretching out for over 1,700 meters from the town of Wanli. Here, you can see naturally-carved stone statues that resemble a variety of objects — and come with fitting names: Queen’s Head, Sea Candles, Fairy Shoe and more. Spend the day in a beautiful natural environment equipped with all the necessary facilities from free Wi-Fi service to a bicycle station, locker rooms and more. Purchasing the ticket in advance thru klook saved us from long queue of people! It is easy to redeem. We just presented it to the attendants in located at the gate of the geopark, scanned it, and voila! You are good to go. :) You know, time is precious. Instead of allotting few minutes to purchase the ticket, we were able to spent it inside the geopark and appreciated the grace of God. 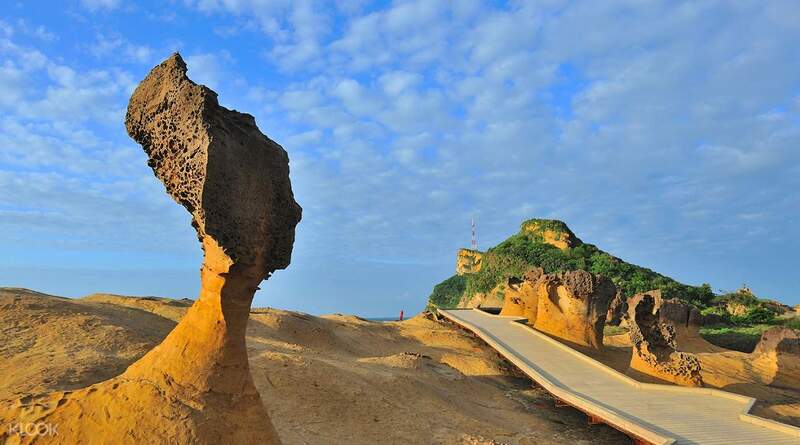 Breathe the fresh air, breeze from the ocean, and the sculptures that can only be seen in Taiwan. Purchasing the ticket in advance thru klook saved us from long queue of people! It is easy to redeem. We just presented it to the attendants in located at the gate of the geopark, scanned it, and voila! You are good to go. :) You know, time is precious. Instead of allotting few minutes to purchase the ticket, we were able to spent it inside the geopark and appreciated the grace of God. Breathe the fresh air, breeze from the ocean, and the sculptures that can only be seen in Taiwan. Limited time to spend at Yeliou geopark.. perhaps we are walking to slow during the hot weather.. didn’t manage to take photo close with the queen head.. so we take from far distance.. Overall .. everything was good! Limited time to spend at Yeliou geopark.. perhaps we are walking to slow during the hot weather.. didn’t manage to take photo close with the queen head.. so we take from far distance.. Overall .. everything was good! If you are getting the Yehliu, Jiufen, Shifen day tour, then it is highly recommended to get the entrance tickets, too. It saves you time as you do not have to line up at the ticket counter. If you have the printed voucher, you can go straight to the gate for scanning. Very convenient. If you are getting the Yehliu, Jiufen, Shifen day tour, then it is highly recommended to get the entrance tickets, too. It saves you time as you do not have to line up at the ticket counter. If you have the printed voucher, you can go straight to the gate for scanning. Very convenient. I cannot imagine how nature come up with this rock formation. When we arrived at Yehliu Geopark, it was hot and crowded. However, it was all worth it because of the majestic view of the place. It is one of a kind tourist spot. 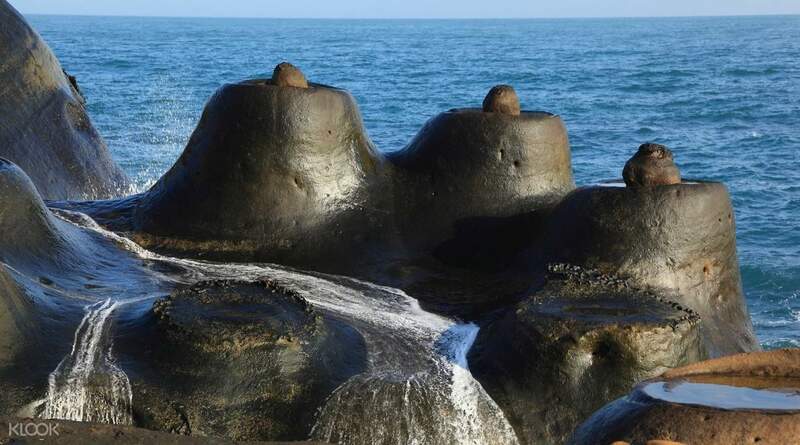 I cannot imagine how nature come up with this rock formation. When we arrived at Yehliu Geopark, it was hot and crowded. However, it was all worth it because of the majestic view of the place. It is one of a kind tourist spot. It rained a bit during our trip but more than the showers I will remember the most were the stunning views of yehliu and golden waterfalls. The lantern experience is a must try, it was fun. :) The food at Jiufen and shifen made our tummies happy as well. It rained a bit during our trip but more than the showers I will remember the most were the stunning views of yehliu and golden waterfalls. The lantern experience is a must try, it was fun. :) The food at Jiufen and shifen made our tummies happy as well. The meeting point was easy to found.. the tour guide was really friendly and informative.. always explained to us in every destination.. our group is very cooperative and friendly. The bus depart on time without any delay.. Overall this package was really good and easy to be use. The meeting point was easy to found.. the tour guide was really friendly and informative.. always explained to us in every destination.. our group is very cooperative and friendly. The bus depart on time without any delay.. Overall this package was really good and easy to be use.